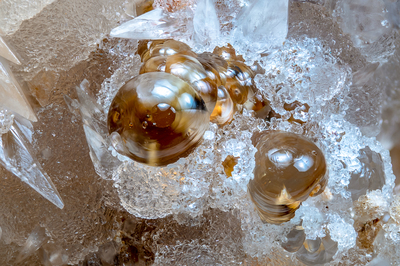 Opal variety hyalite spheres, brown in color, grown on spheres of charo yellow crystals of talmexite with crystalline colorless calcite and white, top and left. Collection and photo of Gianfranco Ciccolini. Nikon D750, bellows, Luminar 40 mm.